There are many ways Tipis can be enjoyed. Simply rolling up the side in the sunshine, spilling out onto the lawn, allowing all to join the party. 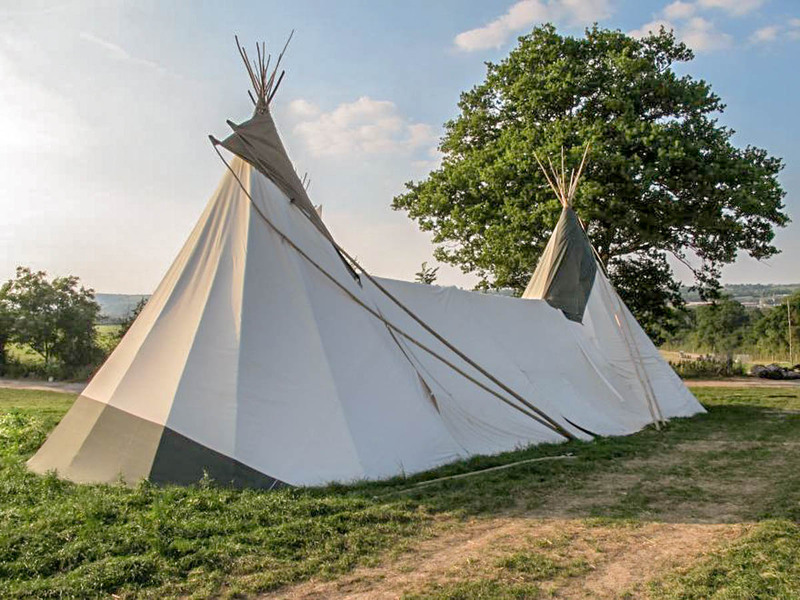 Interlinking our Tipis allows these magnificent spaces to be joined together to create larger, more accessible and usable purpose built event and accommodation spaces. Over the years we have learnt how to manufacture conjoined Tipis that are functional, weatherproof and beautiful. Just talk to us about your requirements and we will do our best to create a solution. From two bedroomed luxury twin Tipi accommodation, to children's play areas and purpose built event spaces. Why not have a Tipi with an ensuite? Or a series of small and large Tipis joined together? We can custom manufacture fitted Tipi awnings of any size to your specific requirements. 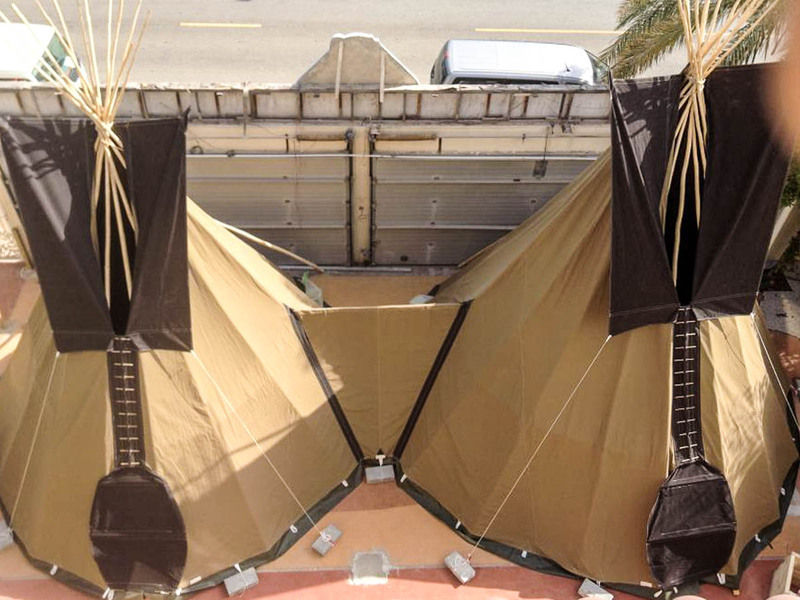 We can also provide an awning for an Extra Large Tipi that is hired out. Please enquire for details.